Noon announces itself melodically on the UC Berkeley campus. Almost everyday at 12 p.m., the Campanile replaces its uniform hourly chimes with a musical interlude. While the sounds of the Campanile are familiar to all of Berkeley, many may not realize that there are students behind the music of the famed tower. 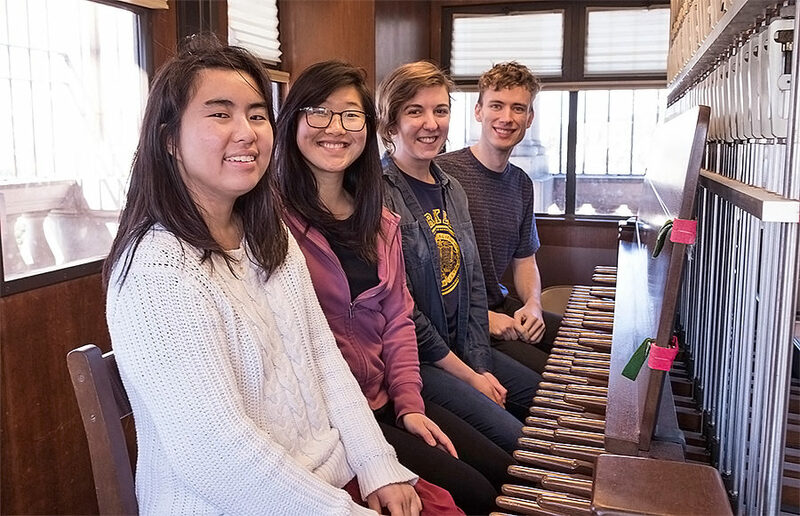 Throughout the week, a select group of UC Berkeley student musicians devote themselves to the rare instrument behind the Campanile’s tunes: the carillon. Confined largely to towers such as the Campanile, the carillon consists of a set of bells that are played to produce a melody. Among these musicians is Anders Lewis, who is president of the Berkeley Carillon Guild. “In the very most basic (sense), it’s like an organ, but it’s weird,” Lewis explained in an interview with The Daily Californian. Every semester, faculty member and University Carillonist Jeff Davis handpicks at most four students for his carillonist training program. While the students often have prior music experience, the carillon is always new to them. Many use the piano to audition because of the similarity between the two, but students can choose any instrument to demonstrate their musicality. For instance, graduate student carillonist Leslie Chan auditioned on violin. Once selected for mentorship, students embark upon a course thread, beginning with Music 40 and continuing to increasingly individualized carillon-playing classes — students eventually work their way up to private lessons with Davis, as well as holding their own performances. After establishing a foundational level of experience with the instrument, students are granted the autonomy to select the musical score for longer programs, such as noon recitals. While they do have full freedom, Davis encourages students to play music composed for the carillon itself. “Just from a composer’s perspective, there’s so much music that’s really good and meant to be played on the carillon — can only be played on the carillon,” Chan said. Despite dedicating time to mastering the instrument, most Berkeley carillonists do not see their work with the carillon extending beyond their time at Cal. Instead, their current musicianship often serves as a unique creative outlet outside of their studies. After all, as noted by Nicole Sugiono, who helps teach the DeCal “Learn to Play the Sather Tower Bells – A Carillon Study,” the opportunity to work with a carillon does not often present itself. “Playing the carillon is something you can really only experience at certain places I have been. If I don’t do it now, I probably will never get the chance to do it,” she commented. Other carollinists, such as former DeCal co-facilitator Michela Garber, mirrored Sugiono’s sentiment. 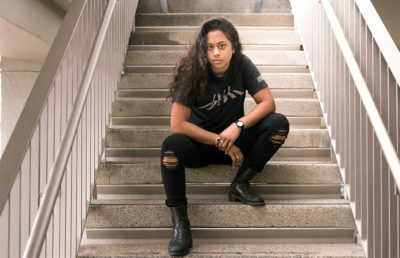 “I thought it would be a really cool experience to have at Cal, especially since I wouldn’t be majoring in music,” she recalled. In addition to providing a chance to develop their musical skills, these carillonists consider their work with the instrument a chance to partake in a distinctive community. Shared knowledge of such an obscure practice provides the grounds for the musicians to bond. They have all experienced the blank stares when mentioning their time playing the carillon. “I think the best part is when people are like, ‘Uh, sorry, what?’ ” Chan related, describing such encounters. 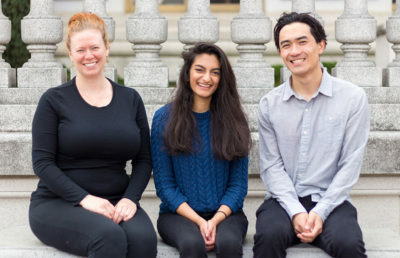 With the Campanile being such a symbolic aspect of UC Berkeley, the students voiced a shared appreciation of partaking in this exclusive and meaningful experience. “If I ever see the campanile printed on something, a little part of my mind is like ‘That’s my thing,’” Lewis said. While playing the carillon is a deeply personal experience for each of these musicians, its product is shared campuswide. They are aware that the bells are something that all students on campus recognize — an element of student life they find profoundly compelling to be a part of. Chan agreed that controlling the sounds of the Campanile is something of a privilege. More significantly, the students’ experience with the carillon has lent itself to growth for them beyond the realm of music — the many hours in the tower have contributed to personal development as well. 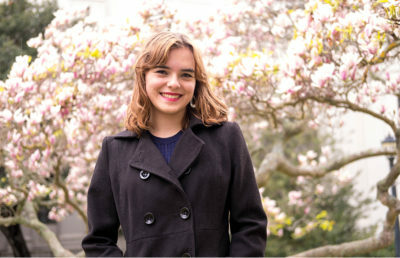 “It’s just been a really fun experience for me at Cal and one where I’ve learned a lot of life lessons incidentally. You’re playing once a week for everyone, and no one can’t listen to me. You’re heard by a mile radius or more, so it’s definitely a confidence builder,” Garber said. Since being constructed more than a century ago, the Campanile has remained emblematic of the university and, inevitably, its students. It is only fitting that the sounds behind the tower — sounds that are so deeply intertwined in campus life — are the product of students’ versatility and ambitions.